There are few things more enjoyable than watching a well-executed motion offense. The basketball zips quickly around the perimeter, players are constantly cutting and screening for each other, and the team always seems to find a wide open shot. Especially if your method is simply finding 7 better-than-average players and throwing them onto the same team. A beautiful offense like the one described above is the result of coaches and players who are dedicated to executing the “7 keys” which make a motion offense successful. And in this post, I’ll show you what those 7 keys are. A “motion offense” is an offensive strategy that uses ‘rules’ or ‘principles’ to help players read the defense and make decisions. It usually involves a lot of passing, screening, cutting, and also requires great spacing. Unlike set plays or a “continuity offense” (such as the Flex), a motion offense has no repeating offensive pattern that plays perform over and over again. It requires the coach giving up control of the offense to the players. Which is much harder than most coaches think, and will probably lead to a lot of short-term frustration and anger from the head coach. ​Allowing your players to learn how to read the defense and make decisions is the most important reason why you should run a motion offense. In a motion offense, you give the team a set of ‘rules’ and then allow them to make decisions. This teaches players how to play basketball. Which is fantastic for each player’s long-term development in basketball. ​A motion offense requires all 5 players on the court contributing to be successful. Even if a player doesn’t touch the basketball in an offensive possession, their spacing, cutting, and screening is still important for creating scoring opportunities for their teammates. 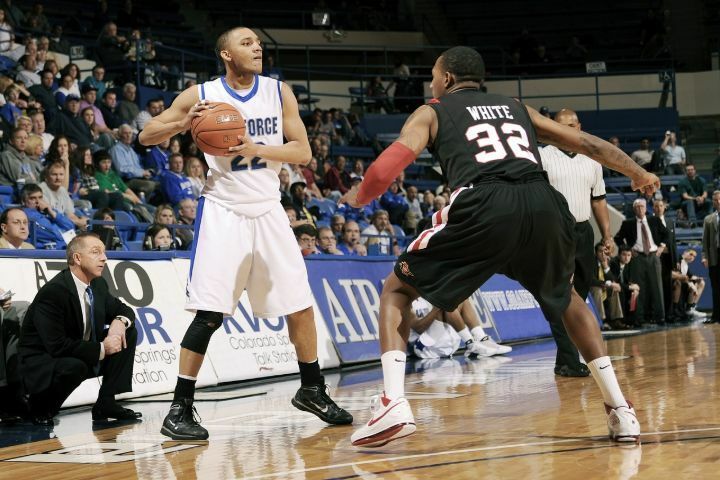 ​A well-executed motion offense is difficult to defend. The defense is going to fatigue and break down very quickly. This will open up scoring opportunities for your team. Your offense automatically becomes near impossible to scout. If the defense cuts off one option, your players can simply execute a counter and continue running the motion offense. If the defense overplays a pass to the wing, the offensive player can back-cut and then fill the corner while their teammates rotate around to receive the pass. 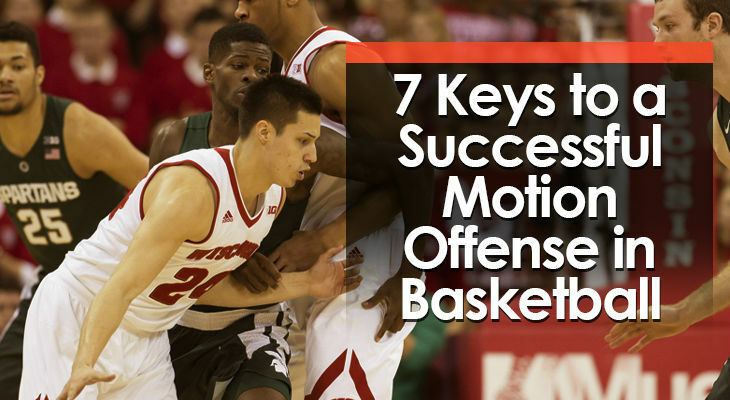 There are 7 important ‘keys’ which will determine your offense’s success. ​Having players that are willing to cut hard - even when they’re not likely to receive the ball - is one of the most overlooked aspects of a successful motion offense. If a player in help position notices an offensive player cutting hard and calling for the ball, they’ll be forced to slide over and provide help. This can open up their opponent for a catch-and-drive or shot. When a player commits to cutting to the hoop hard, it also prevents their defender from helping. They’ll be forced to stay close to the cutter and deny the pass. A strong screen gives an offensive player an advantage. To run a great motion offense, you need effective screening. An offense needs to move the ball quickly in order to make the most of the ‘advantages’ created when running a motion offense. And since the skill of passing is 90% decision making, this is done by putting players in situations where they need to read the defense and make decisions on what to do next. Small-sided games are great for this if you’re coaching a young team. Once your players develop the ability to quickly read the defense and then make the smart play, the ball will be zipping around the perimeter in no time. ​As the ball moves around the court, your players need to keep moving too. It’s important your players maintain good spacing on every possession. This involves offensive players distancing themselves from each other at lengths that make it difficult for defenders to provide help without giving up an open shot, drive, or layup. Correct spacing will depend on the motion offense you choose to run. I’ll give you a few examples soon. ​Too much unnecessary dribbling will any hurt any offensive team regardless of what offense their team is attempting to run. But too much dribbling is especially problematic if you’re trying to run a motion offense. This is because the ball needs to be moving quickly to ensure all cuts, screens, and the movement of players is effective. Make the dribble take you somewhere. Players executing a motion offense need to remember this at all times. ​When all of the players on your team have the ability to fill every position on the floor, motion offense is much easier to run. For example, you likely won’t use your PG in the post when playing a 4-out 1-in motion offense. But all of the players on your team could fill any position if necessary. This is also one of the best thing you can do for each player’s basketball development. The outcome should be an offense with hard cuts, strong screens, quick passing, smart spacing, and purposeful dribbling. The goal is then to make sure players are constantly moving throughout the offense. ​The 5-out motion consists of 5 players on the perimeter, and no one inside. A player at the top of the key, a player on each wing, and a player in each corner. This is one of the best offenses for youth teams - in my opinion - because it creates a lot of open space for players to penetrate and finish around the basket. ​The 4-out 1-in motion offense consists of 4 players on the perimeter, and 1 player inside. A player in each slot (top of key), a player on each wing, and a player on the low block. This motion offense creates more space around the three-point line for perimeter players, and also gives the offense a target inside. But depending on how a coach uses the post player, they can clog up driving lanes. ​The 3-out 2-in motion offense consists of 3 players on the perimeter, and 2 players inside. A player at the top of the key, a player on each wing, and a player on each low block. This motion should only be used by teams who have two high-IQ post players. By committing to this offense, you’re committing to getting the basketball inside on every possession and then allowing your ‘bigs’ to make plays for themselves or teammates. ​The dribble drive motion offense consists of 4 players on the perimeter, and 1 player inside. A player in each slot (top of key), a player in each corner, and a player on the low block. This motion is best used by teams who have aggressive ball-handlers who are capable of breaking down their direct opponent and attacking the rim. 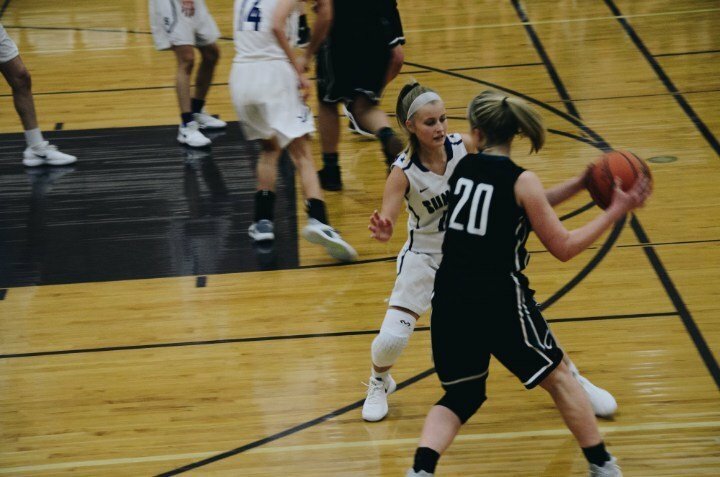 ​A motion offense is fantastic to run if you’re passionate about the long-term development of the individual players on your team. By giving your players ‘rules’ to follow and then allowing them to make decisions throughout a game, you’ll skyrocket their basketball IQ in a very short amount of time. Your players will make mistakes while they’re learning, and there will be times when you want to give up and return to set plays. But I encourage you to stick with a motion offense and use it long term.